Taos is located about 137 miles from the Albuquerque International Sunport Airport. From the sunport you can rent a car or van or grab a shuttle to Taos. The road is paved and easy to navigate. Be aware of weather conditions! Be sure to check road conditions before heading out to Taos. You can also get to Taos from multiple other points in New Mexico including Santa Fe! New Mexico has a lot to offer so we recommend exploring more than just the Taos New Mexico region if you have time. Once in Taos there is plenty to do from hiking to biking to skiing during the winter months. The Taos scene is laid back and friendly. Be sure to check out all the local hot spots like Michaels Kitchen and Orlandos. Getting to Taos doesn’t have to be a hassle. 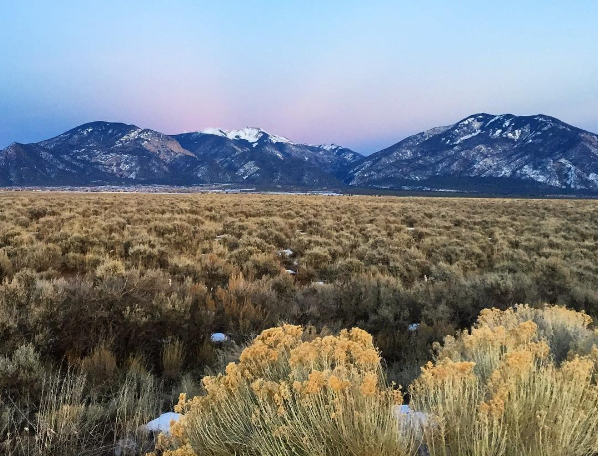 Many come from nearby states such as Texas to visit the beautiful Taos Valley! It is also very popular for visitors to fly into Denver as well as the Albuquerque Sunport. 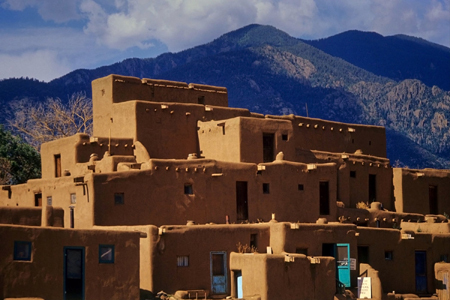 You can be in Taos in a matter of hours from Denver, Albuquerque, or Santa Fe. We hope to see you in Taos soon!